Oxalic acid is a poisonous, crystalline acid found in a number of plants such as sorrel and the leaf blades of rhubarb. Its Chemical formula is C2H2O4. It is used for many industrial purposes, including rust removal and bleaching. It is a strong dicarboxylic acid occurring in many plants and vegetables. Oxalic acid is a reducing agent and its conjugate base, known as oxalate (C2O2−4), is a chelating agent for metal cations. 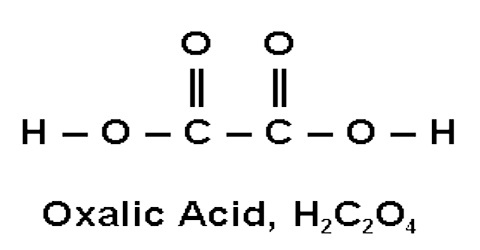 Typically, oxalic acid occurs as the dihydrate with the formula C2H2O4·2H2O. Excessive ingestion of oxalic acid or prolonged skin contact can be dangerous. 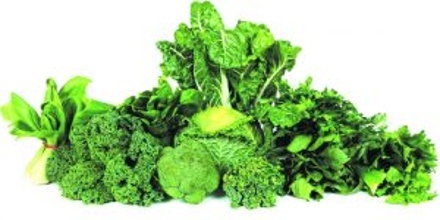 Oxalic acid is naturally occurring component of plants, and is found in relatively high levels in dark-green leafy foods (relatively high, though, is just that). It is found in various fruits and vegetables, and formed in the metabolism of ascorbic acid and ethylene glycol. Oxalic acid is a dicarboxylic acid with structure (HOOC)-(COOH). Because of the joining of two carboxyl groups, this is one of the strongest organic acids. It is also a reducing agent. The anions of oxalic acid as well as its salts and esters are known as oxalates. Bodily oxalic acid may also be synthesized via the metabolism of either glyoxylic acid or unused ascorbic acid (vitamin C), which is a serious health consideration for long term megadosers of vitamin C supplements. 80% of kidney stones are formed from calcium oxalate. Some Aspergillus species produce oxalic acid, which reacts with blood or tissue calcium to precipitate calcium oxalate. 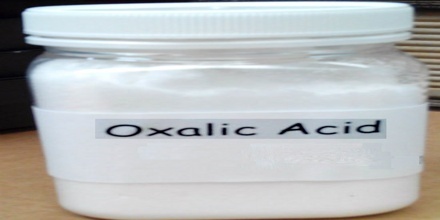 The oxalic powder is mixed with water to turn into a solution of oxalic acid. At high doses, oxalic acid is very dangerous, but at moderate doses it is safe for various useful functions. Oxalic acid can be used as a bleaching agent for both wood and stone. Wood, when exposed to the elements, can turn gray. It is also used by furniture manufacturers to lighten heavily stained areas of wood furniture in preparation for refinishing. Oxalic acid can also use to remove stains from fabrics such as linen and cotton; it will take a lot of time, so it is better to have your fabrics dry cleaned instead. It is effectively removes ink, food stains, and many other types of stains. 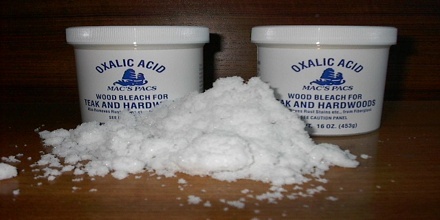 Oxalic acid is also used to remove rusts that are commonly found on plumbing pipes and kitchen countertops, and is a major ingredient found in commercial rust removers for sinks, tubs, and metal rust stains. It is also used as a reducing agent in developing photographic film. It used in wastewater treatment as well since oxalic acid can effectively remove calcium from wastewater. Oxalic acid is rubbed onto completed marble sculptures to seal the surface and introduce a shine. Oxalic acid is also used to clean iron and manganese deposits from quartz crystals.